Achill Island is the largest island of Ireland which is located off the coasts of Mayo County. The island is abundant in history, packed with lots of evidence showing the presence of humans going back about 4000 years. 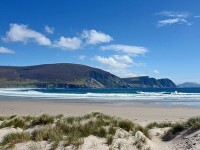 Achill has beautiful and long sandy beaches which are never far away from any point on the island. Visit the small deserted coves and walk along soaring cliffs. The island is surrounded by clear Atlantic water which peacefully shines in the summer sun. If you pick the right moment you can catch some huge waves and catch sight of the lovely visitors of the island, the whales and the dolphins. 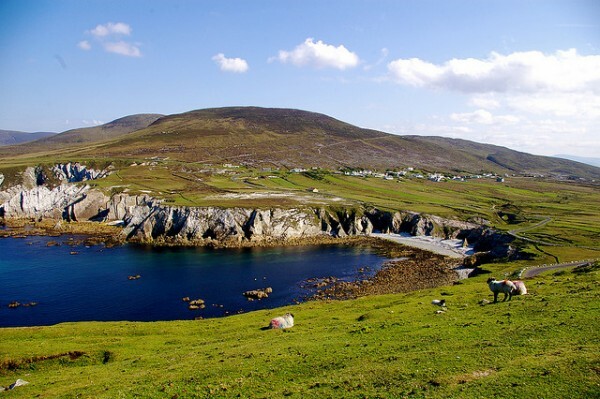 There are so many things to see on Achill Island: megalithic tombs, holy wells, deserted villages, ruins and early Christian monastic settlements, and others. 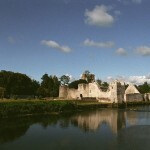 Visit a tower house from the 15th century built by Grace O’Malley, an Irish pirate queen. Not far from the tower, at Kildavnet you will find a church from the 12th century and a medieval cemetery. 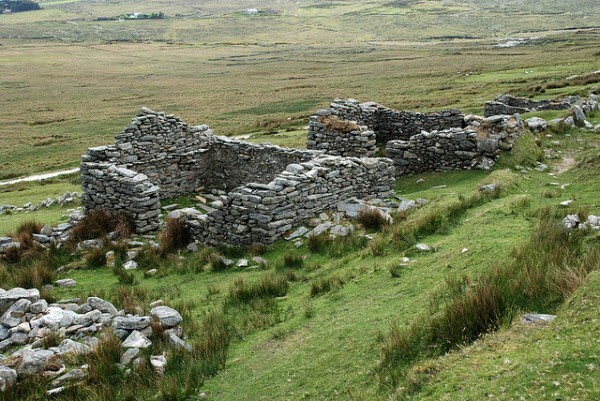 At Slievemore and its mountain there is a place called the Deserted Village, with about 100 stone cottages, which are abandoned since the second half of the 19th century. Its residents became mostly victims of eviction or famine and many of them emigrated to America. Around the village there are many megalithic tombs to be found dating back to the Neolithic period. 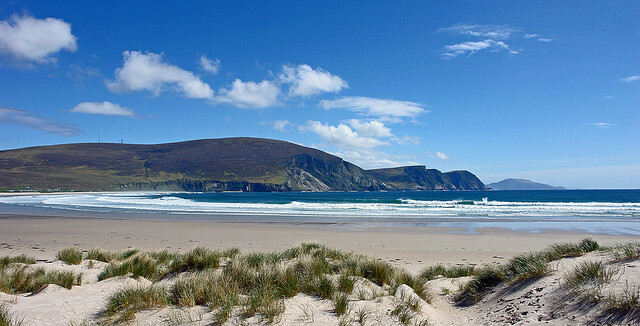 Some of the top beaches in Ireland can be found on Achill Island. 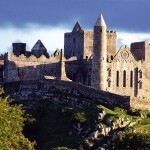 The most significant and worth mentioning is Trawmore, the beaches of Dooega and the one at Keem. If you like surfing there are plenty of opportunities for it on Achill, especially on the beach of Trawmore. If you prefer a swim in freshwater or you would like to try kite surfing for a change, we recommend you to visit Keel Lake.